She woke early again this morning for school. “Where’s the bb gun again?” she asked the Cowboy? Off she went with the dogs .. I smiled as I had to call her in – twice – to grab a bite to eat quick and her things so that we could get her off in time to school. And, as she was heading back toward the house, I realized this was a moment worth savoring and that I didn’t want to miss .. I ran to grab my camera and sneak in this shot of my own. My Little Annie Oakley, I though to myself. (She’s really enjoying the BB gun Santa got her for Christmas last year, our three other littles have their own as well. 4H shooting sports, which she’s now been involved in the past couple months, has also become a wonderful resource for her.) And then I realized I really didn’t know much about Annie or if that was at all a reference for her I should be using. Living now in South Dakota, we see and hear a lot about the great heroes/heroines/outlaws of the old Wild West. 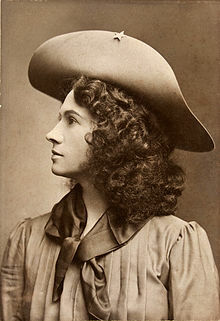 Phoebe Ann Moses, or Annie Oakley as most of us know her, didn’t live or work it seems, ever in South Dakota. But I’ve been seeing a lot about her as I’ve traveled the area. Especially during our time out in Wall. Her talents as a sharpshooter and for teaching women during that era how to use a gun are what apparently made her the First American Female Superstar, according to Wikipedia. That’s a pretty big deal, and it’s all because of how she could shoot a gun. Her aim might not be all that Annie’s was, but apparently I’m somewhat on the right track with my comparison. We’ll have to see if her shot here at some point, is good enough for her to want to take on the road. 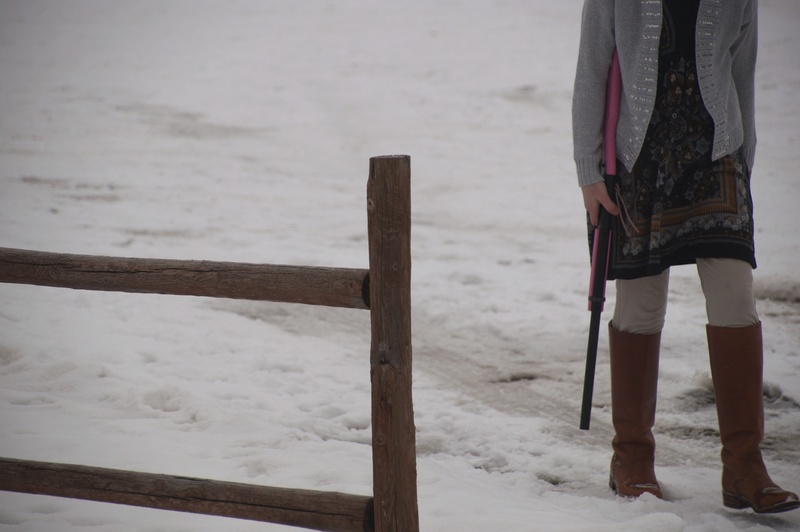 This entry was posted in Annie Oakley, BB Gun, Cowboy, Little Sure Shot of the West, Photography, Pre-teen, Ranch Life, Shooting Sports, South Dakota, Uncategorized, Western lifestyle and tagged 4H, Annie Oakley, BB Gun, Cowboy, Daughters, First Female American Superstar, Ranch life, sharpshooter, shooting sports, South Dakota, Sure shot by Carleen Wild. Bookmark the permalink.